When a driver was fatally ejected one night late last year from a vehicle that rolled off a road in Eastern Ontario's Renfrew County, emergency responders were unsure whether there were other victims. The terrain around the crash site was difficult to access, forested and rocky with steep and unexpected drops. Instead of relying solely on emergency staff to determine the number of dead or injured, the county's paramedic service turned to a technology it has pioneered among its peers in Canada: an unmanned aerial vehicle (UAV) or, more colloquially, a drone. Equipped with a thermal camera, the drone was able to confirm that the driver was the sole casualty. 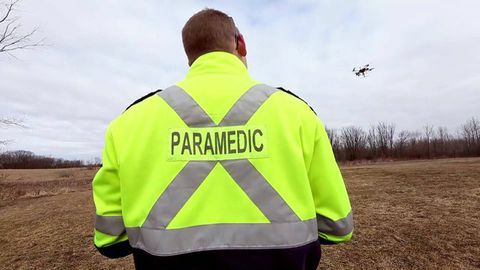 It has been roughly three years since the Renfrew County service became the first among paramedics in the country to obtain Transport Canada's permission to fly the drones within the pilot's line of sight. That was a start, but to chief paramedic Michael Nolan, the authorization did not go far enough. He immediately began working toward federal approval to fly the drones beyond the pilot's field of vision – an expanded capability that he said, and has since confirmed, would open the door to a much wider range of uses. After a six-day demonstration before federal officials last spring, the service – along with the RCMP, Ontario Provincial Police and B.C.-based drone supplier InDro Robotics – obtained permission to fly UAVs within a four-nautical-mile search area. 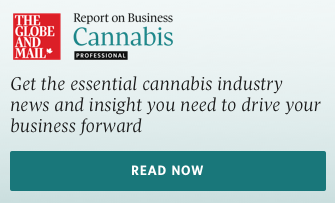 The green light, granted in the summer, is unprecedented and game-changing. "The program began with off-the-shelf technology that allowed us to test some of the concepts in our own backyard," Mr. Nolan said, adding that the service drew on the insights of a county paramedic who had experience flying UAVs for the Canadian military. "At the time, the regulations and use of drones were very limited to hobbyists, but we recognized there was greater opportunity to enhance both the technology and the use of drones in the emergency-services context." In the months since obtaining the expanded federal permission, Renfrew paramedics have used their UAVs to scan rugged crash sites, locate people lost in the woods, and determine whether snowmobilers plummeted through ice or made it safely to shore. The need has not yet arisen, but the service is also capable of deploying a UAV to deliver an automatic external defibrillator (AED) to someone in cardiac arrest. They are able to equip a drone with a personal flotation device and lower it to someone struggling in a body of water. And they could use a drone to send a rope out to a person stuck on a treacherous stretch of ice; paramedics could then pull the person ashore. Asked whether he believes the drones have so far prevented any deaths, Mr. Nolan said it is not a stretch to say so. "I think I can say that, because [the UAVs] have potentially saved the lives of emergency responders, by not having to put themselves in harm's way," he said. While police services and some fire departments in Canada have for years flown drones within a pilot's line of sight to survey scenes and assist with emergency response, Mr. Nolan said his understanding is that his team is still the only paramedic service with UAVs currently in use. The service is also in limited company when it comes to its approval to fly drones beyond a pilot's field of vision; among emergency responders, only the RCMP and OPP are similarly certified, he said. Renfrew was a natural place for innovation in emergency response. Spanning an area of more than 7,500-square-km, it is the largest county in Ontario. It has more than 900 lakes and four river systems – a challenging landscape that can at times slow down a conventional rescue effort. To meet the service's needs, InDro founder Philip Reece said engineers tweaked the drone design several times. The UAVs needed to be waterproof, self-heating and sturdy. They needed to carry payloads, fight against the wind and fly quickly and safely for a reasonable and reliable amount of time. The result, achieved on the fifth design iteration, was a four-kilogram drone with a wingspan of roughly 1.5 metres. It can fly as fast as Transport Canada's 86-km-an-hour limit, and can carry items with a total weight of about 2.5 kg. Transport Canada said it will continue to consider new and safe opportunities in drone technology, saying in an e-mail that the department is "working with industry partners to explore and integrate innovative uses into Canada's transportation system of tomorrow."